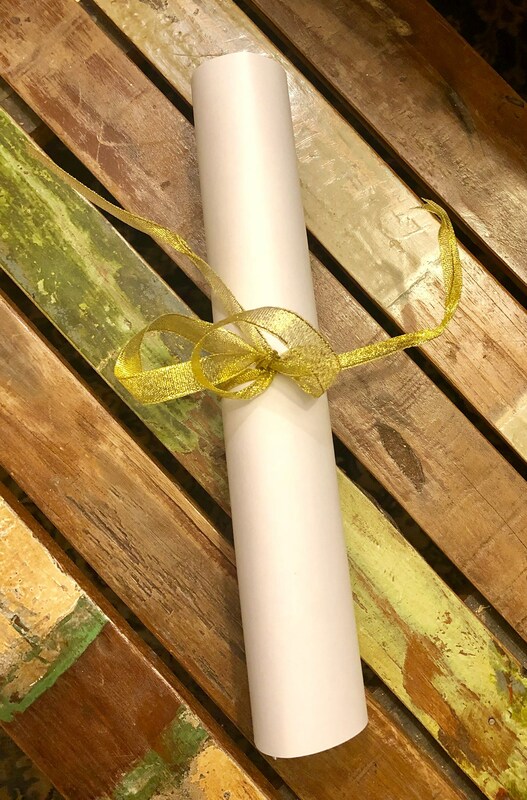 1) A Beautifully Designed Letter Sized Gift Certificate* printed on heavy card stock announcing the Design Your Own Fairy gift for you to give to your special person. I'll even include a ribbon! 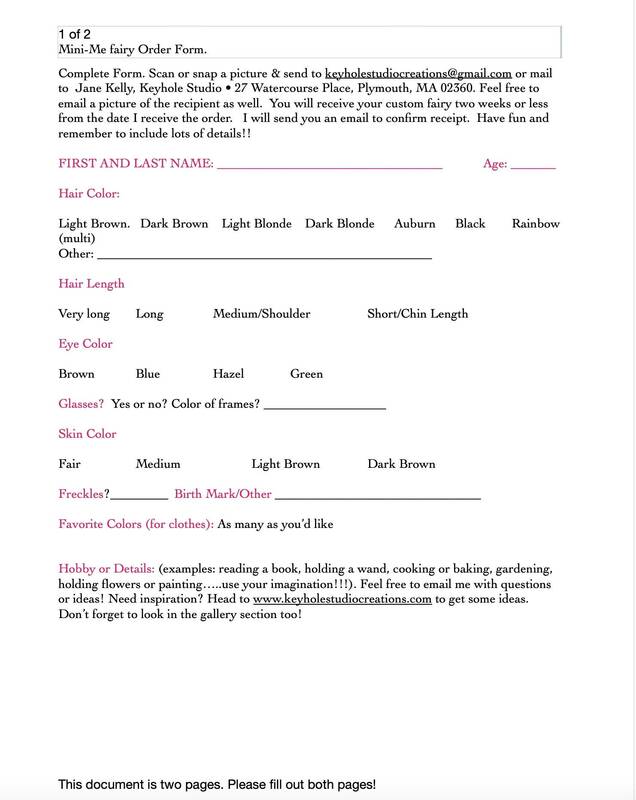 2) An order form to be included with the gift certificate. 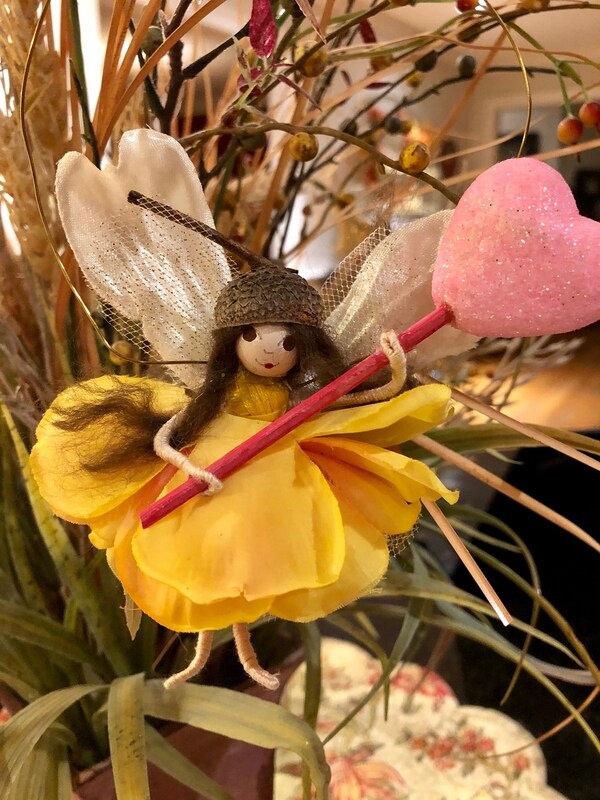 This enables the recipient to "design" everything from the hair, skin, eyes, clothes and hobbies of their custom fairy. Once the form is filled out and emailed to Keyholestudiocreations [!at] gmail.com (along with a photo if desired), the custom Mini-Me Fairy will fly to her new home in two weeks or less. And of course, the Fairy Express deliveries are always beautifully packaged and covered with Fairy Stamps and fun stickers! 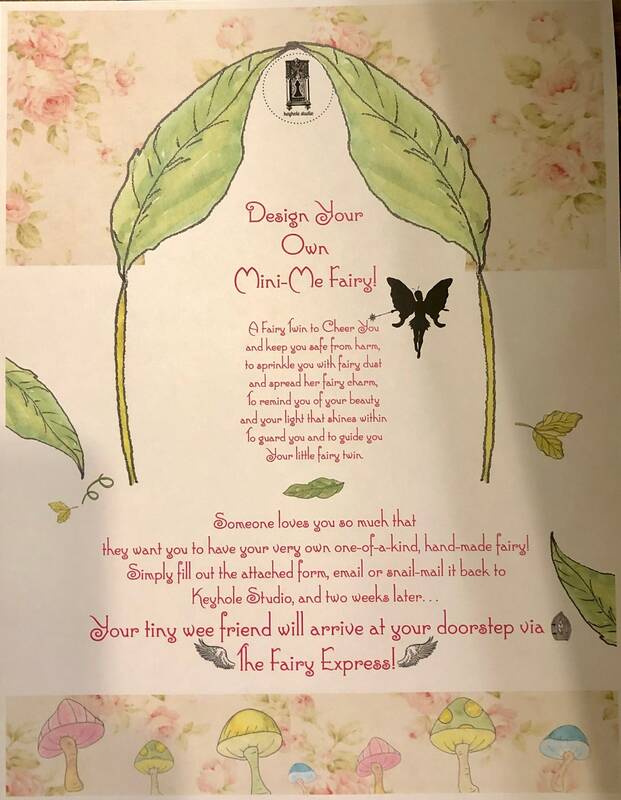 Seriously, what could be more fun than a magical package arriving in the mail with a one-of-a-kind fairy inside?! You will be the hero or heroine of the holidays for sure. OUT OF TIME??? No worries! I will EMAIL you the PDF of the Gift Certificate and order form and you can print it out at home! See - we really are magic in this shop. PLEASE INCLUDE YOUR EMAIL IN THE NOTE TO SELLER! The price includes the cost of shipping. 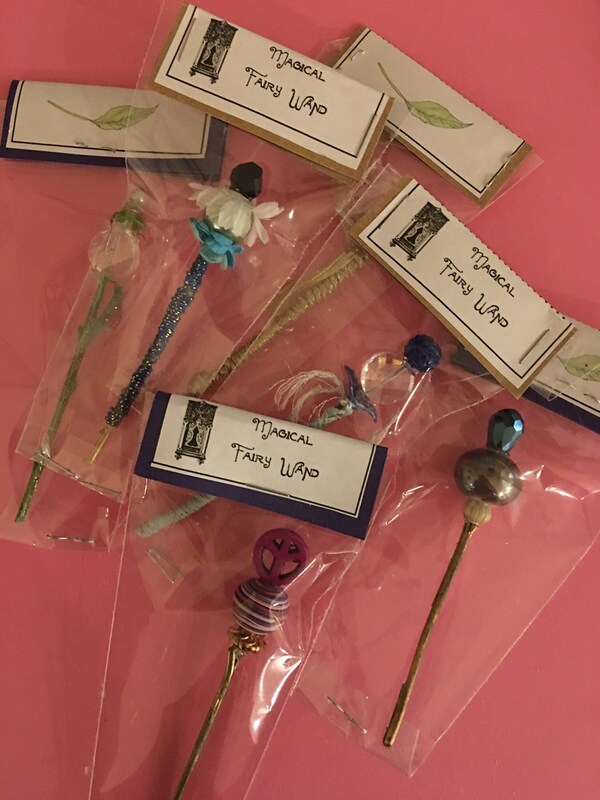 Want to throw in a mini-wand to get those Fairy juices flowing?? 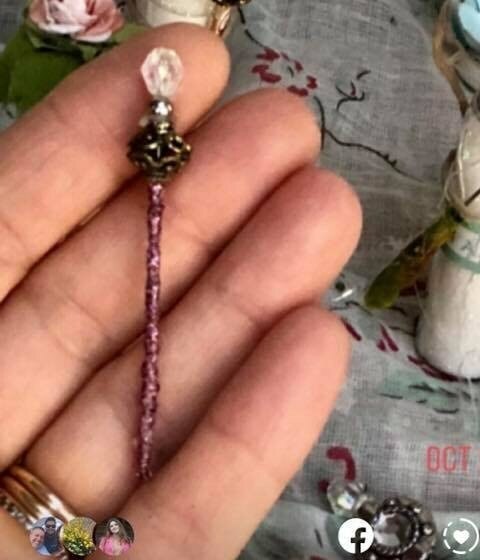 For only $6 more, I will add a tiny, hand-made miniature wand. Wand styles vary and are picked out by a dedicated staff of fairies and elves. Trust them - they know about these things.